FREE Excellent P.I., Mystery & Suspense Thriller! 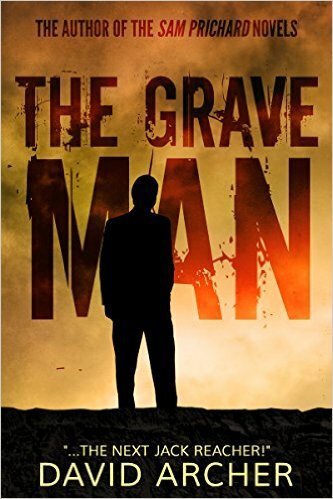 ***Mystery: The Grave Man – A Sam Prichard Mystery Thriller by David Archer. Price: Free. Genre: Private Investigators Mystery of the Day, Sponsor, Suspense Thriller. Rated: 4 stars on 88 Reviews. Rated: 4.5 stars on 916 Reviews. 282 pages. ASIN: B014JOV24K. Reviewers love it: Smooth, believable and surprising! I picked this book knowing absolutely nothing about it. I wasn’t expecting much from it, but I was pleasantly and constantly surprised! One of the best books my dad has ever read – and he’s 80! It’s a brilliant story with a great main character, Sam Pritchard! He develops into a heck of a good P.I.! Not to be missed! *Red Hope: An Earth To Mars Technothriller (Deal, Not Free) by John Dreese. Price: $0.99. Genre: SciFi Thriller Deal of the Day, Sponsor, Suspense Thriller, Mystery, Space Exploration. Rated: 4.1 stars on 182 Reviews. 237 pages. ASIN: B00RA7QOHY. Reviewers love it: This was such an edge-of-the seat story when I started, that I couldn’t stop reading! What an engaging read! I zipped through the book in a day because I was interested in how it would end! It moves fast and I was quite surprised at how attached to the characters I became! I really loved it! I don’t think I have ever spent a dollar this well! White Fang by Jack London. Price: Free. Genre: Crime Thriller, Suspense, Classics. Rated: 4.5 stars on 4 Reviews. 145 pages. ASIN: B01AW0V58S. ***Cuts Like a Knife: A Novel (A Kristen Conner Mystery Book 1) by M.K. Gilroy. Price: Free. Genre: Clean Suspense Thriller of the Day, Sponsor, Mystery, Clean Thriller, Women Sleuths. Rated: 4.6 stars on 123 Reviews. 418 pages. ASIN: B0131OJJSU. Reviewers love it: Gilroy can spin a yarn full of suspense and wry humor! I absolutely loved his writing style! The various plots are seamlessly blended! Reading this book, you know it is a start of something good! The language is clean and would be enjoyed by readers of all ages. Gilroy’s novel is rich, engrossing and one of the best in its genre! *Diamonds For Death (The Chronicles of Sharon O’Mara 5) by Gregory Randall. Price: Free. Genre: Action Thriller, Suspense, Adventure. Rated: 4.8 stars on 6 Reviews. 299 pages. ASIN: B00RESIJHC. *The Hidden by Andrew Michael Schwarz. Price: Free. Genre: Suspense, Thriller, Horror, Literature & Fiction. Rated: 5 stars on 4 Reviews. 100 pages. ASIN: B00XRY2PCW. Superb $1 Psychological Thriller Deal! 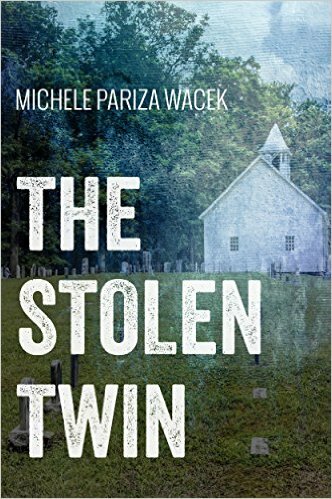 **The Stolen Twin (Deal, Not Free) by Michele PW (Pariza Wacek). Price: $0.99. Genre: Psychological Thriller Deal, Sponsor, Psychological Suspense. Rated: 4.9 stars on 28 Reviews. 324 pages. ASIN: B0183ESQTQ. Reviewers love it: This book pleasantly surprised me! My family consists of BIG readers, and I am glad I got it in time to make a holiday gift! Very well done! Gripping! I thoroughly enjoyed reading it! This was better than some well known suspense writers who I have tried to read but just couldn’t get into it. I had NO idea what a great book this would be! If the author’s future novels will be as good as this one, then I will be the first in the line! *Child of the State (An Elizabeth McClaine Thriller Book 2) (Deal, Not Free) by Catherine Lea. Price: $0.99. Genre: Crime Thriller Deal, Sponsor, Crime, Women’s Adventure. Rated: 4.8 stars on 33 Reviews. 316 pages. ASIN: B0199SDJ7O. Reviewers love it: ‘Child of the State’ is a fast paced thriller with a lot of heart! Authentic and moving! I am sure glad I read this book! Interesting characters, a complex mystery and page-turning suspense make this novel a must-read! Read it when you have a few spare hours because you won’t be able to put it down! Harrowing but enjoyable! **Gone (Gone Series Book 1) by Stacy Claflin. Price: Free. Genre: Psychological Thriller, Sponsor, Psychological Suspense, Teen & Young Adult. Rated: 4.3 stars on 136 Reviews. 210 pages. ASIN: B00O5GWMMY. Reviewers love it: This book was incredible! It grips you from the first page and takes you in a roller coaster ride you won’t soon forget! Realistic! Every parent’s worst nightmare! One of the Top 3 Mysteries I have ever read! Unstoppable! A Secret to the Grave (Detective Parker Bell Book 1) by Jane Blythe. Price: Free. Genre: Suspense, Serial Killers, Thriller. Rated: 5 stars on 5 Reviews. 261 pages. ASIN: B00M6ACSPM. Trader Jack by Neil Behrmann. Price: Free. Genre: Financial Thriller, Suspense, Crime Fiction. Rated: 4.8 stars on 5 Reviews. 528 pages. ASIN: B005XQJT1W. Excellent Free Kindle Suspense Thrillers, Kindle Suspense Thriller Book Deals for Wednesday Evening! *Dorothy Lyle Forgoes Love Forever and in the Midst of her Grey Life Discovers that she is Rich beyond the Dreams of Avarice (The Miracles & Millions Saga Book 1) by Ella Carmichael. Price: Free. Genre: Mystery, Sponsor, Suspense Thriller, Action & Adventure, Contemporary Women, Women’s Fiction. Rated: 4.6 stars on 25 Reviews. 326 pages. ASIN: B016F94ZSC. Reviewers love it: Hilarious! I am giving this book top marks for making me chuckle on my way to work! Your imagination is engaged non-stop in this read, and that is why I loved it! I actually went back and read one or two chapters again to enjoy the full impact! Fantastic! If you love Ireland, all the more reason to read! Posted on March 23, 2016 Author KibetCategories Free Suspense Thriller Kindle BooksLeave a comment on Excellent Free Kindle Suspense Thrillers, Kindle Suspense Thriller Book Deals for Wednesday Evening! 3 Awesomest Free Kindle Suspense Thrillers, Suspense Thriller Deal for a leisurely Tuesday Afternoon! Excellent Suspense Thrillers Series Special – First Book Free, Second Book for $1! $1 Mystery Deal of the Day! 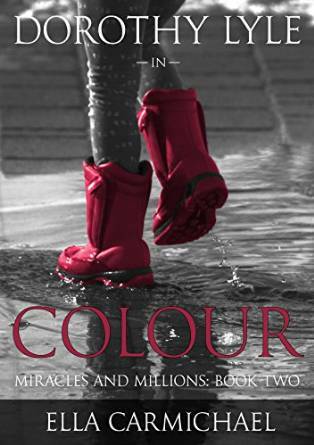 *Dorothy Lyle in Colour (The Miracles and Millions Saga Book 2) (Deal, Not Free) by Ella Carmichael. Price: $0.99. Genre: Mystery Deal of the Day, Sponsor, Suspense Thriller, Contemporary Fiction. Rated: 5 stars on 4 Reviews. 337 pages. ASIN: B0182TNSWC. Reviewers: Packed with adventures, twists and turns as Dorothy settles down to getting used to being a woman of wealth and leisure. I would defy anyone to read it and be able to put it down! Seriously explosive! Her characters are true life and therefore believable. Carmichael has a wonderful way with words and weaves a grand story! *Dorothy Lyle Forgoes Love Forever and in the Midst of her Grey Life Discovers that she is Rich beyond the Dreams of Avarice (The Miracles & Millions Saga Book 1) by Ella Carmichael. Price: Free. Genre: Mystery of the Day, Sponsor, Suspense Thriller, Action & Adventure, Contemporary Women, Women’s Fiction, Mystery. Rated: 4.6 stars on 25 Reviews. 326 pages. ASIN: B016F94ZSC. Reviewers love it: Hilarious! I am giving this book top marks for making me chuckle on my way to work! Your imagination is engaged non-stop in this read, and that is why I loved it! I actually went back and read one or two chapters again to enjoy the full impact! Fantastic! If you love Ireland, all the more reason to read! ***Outview (The Inner Movement Book 1) by Brandt Legg. Price: Free. Genre: Fantasy Thriller, Suspense, Metaphysical. Rated: 4.5 stars on 666 Reviews. 354 pages. ASIN: B01B6KXMY8. *White Tide by Steve Blake. Price: Free. Genre: Crime Thriller, Suspense, Military. Rated: 5 stars on 9 Reviews. 200 pages. ASIN: B00ET573XO. Posted on March 22, 2016 Author KibetCategories UncategorizedLeave a comment on 3 Awesomest Free Kindle Suspense Thrillers, Suspense Thriller Deal for a leisurely Tuesday Afternoon! Excellent $1 Deal, Free Kindle Suspense Thriller for Monday! Superb $1 Suspense + Conspiracy Thriller Deal of the Day! 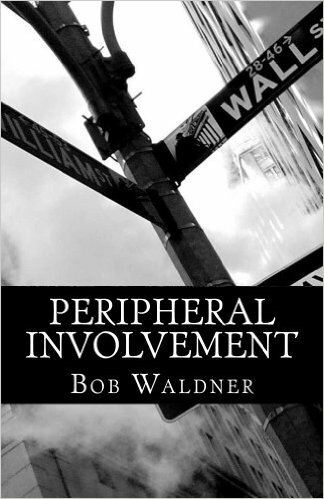 *Peripheral Involvement (Deal, Not Free) by Bob Waldner. Price: $0.99. Genre: Suspense Thriller Deal of the Day, Sponsor, Conspiracy, Suspense, Mystery, Literary. Rated: 4.6 stars on 12 Reviews. 283 pages. ASIN: B00IEY5XTM. Reviewers love it: Brilliantly written! This is a great read that is both insightful and suspenseful. It is very inventive, containing adrenaline kickers, and is page turning and thoughtful! An engrossing trip through the mind of a young lawyer, haunted by a life changing experience! You quickly get pulled into the mystery and the adventure. I really enjoyed it and look forward to the next one! EMOTION MARKET: a Suspense Thriller for the Quest of Happiness by Dimitris Chasapis, Krystal Lynn Boots. Price: Free. Genre: Political Thriller, Psychological Thrillers, Psychological, Terrorism, Conspiracies, Adventure. Rated: 4.8 stars on 4 Reviews. 190 pages. ASIN: B01BJW9SOG. Posted on March 21, 2016 Author KibetCategories Free Suspense Thriller Kindle Books, Suspense Thriller DealLeave a comment on Excellent $1 Deal, Free Kindle Suspense Thriller for Monday! Free, Funny & Quirky Suspense Thriller, Free Kindle Suspense Thrillers for Saturday! Free Funny, Quirky & Poignant Suspense Thriller of the Day! Excellent Free Suspense Thriller of the Day! 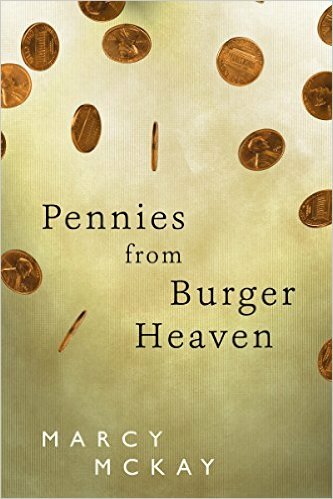 **Pennies from Burger Heaven (Burger Heaven #1) by Marcy McKay. Price: Free. Genre: Suspense Thriller of the Day, Sponsor, Paranormal Suspense, Literary Fiction. Rated: 4.9 stars on 74 Reviews. 344 pages. ASIN: B019FZFOWE. ISBN: 1939889332. Reviewers love it: Stellar! I was hooked after the first two pages into the book! Thanks to the author for taking me to a path I have never followed, and making me better for it. Count me as a member of Copper Daniels fan club! This book brought me to tears and then turned me around and made me laugh so many times! Poignant, funny and quirky! A magical story, highly recommended! *Fallen + Marli & Lalo: A Fallen Mystery (Fallen Invasion Book 1) by Mia Mitns. Price: Free. Genre: Mystery of the Day, Sponsor, Suspense Thriller, African American, First Contact, Alien Invasion. Rated: 5 stars on 1 Reviews. 196 pages. ASIN: B016ZTOOGK. A friendly alien, Lalo, falls from the sky, into Marli’s yard. On waking up, ‘it’ is suffering from memory loss – but has a hunch that it should protect Marli at all costs. Finding out a way to communicate is easy. Solving the mystery of the fallen alien is not. What will happen when Lalo regains abilities and memory? *Hijacked Hitman by Ron G. Robertson. Price: Free. Genre: Suspense Thriller, Sponsor, Suspense, Literature & Fiction. Rated: 4.1 stars on 35 Reviews. 164 pages. ASIN: B015QVOQVQ. Reviewers like it: This is a fun and fast-paced thriller! An easy and enjoyable read! This is a very good story, very well told! I am pleased to say that it exceeded my expectations! I enjoyed it cover to cover! It ends with a bang! I definitely recommend it! Posted on March 19, 2016 Author KibetCategories Free Suspense Thriller Kindle BooksLeave a comment on Free, Funny & Quirky Suspense Thriller, Free Kindle Suspense Thrillers for Saturday! A Good Free Kindle Suspense Thriller For Fantastic Friday! *SPARKS: The Smoke & Fire Series (Prequel Book 1) by Michele Wesley. Price: Free. Genre: Supernatural Thriller, Sponsor, Suspense. Rated: 4 stars on 1 Reviews. 45 pages. ASIN: B019L99VY6. Reviewers: This was a very interesting read, which held my attention! Being a slow reader, I took my time with this book, yet I wanted to come back for more! Posted on March 18, 2016 Author KibetCategories Free Suspense Thriller Kindle BooksLeave a comment on A Good Free Kindle Suspense Thriller For Fantastic Friday!